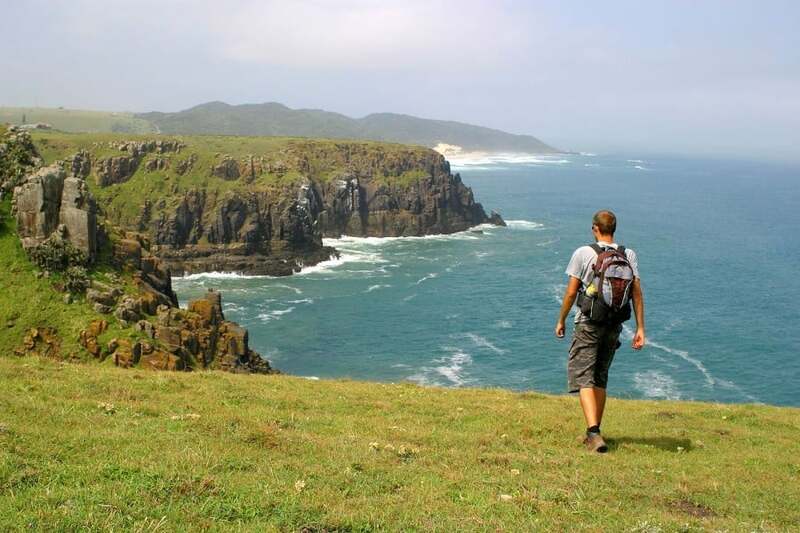 Wild Coast Walk is a tour for those wishing to experience the Wild Coast on foot but wants to spend each evening in the best hotels or lodges along the route, selected for quality and convenience. 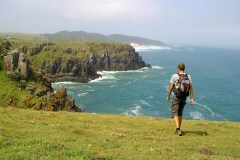 The Wild Coast of South Africa is one of the country’s most remote and beautiful coastlines. It is a prime hiking area with dramatic landscapes, unspoilt beaches, high dunes, wave-lashed rocks, shipwrecks, rolling hills and meandering rivers. Scenery The scenery is spectacular. Empty white-sand beaches are separated by steep green hills, dramatic cliffs and rocky headlands. Sunrises and sunsets of breathtaking beauty. Activities A variety of activities compliment the hiking program : Pristine beaches offer secluded and quiet spots for swimming or to visit and enjoy. 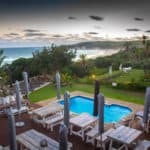 You will also have opportunities for birding, fishing, canoeing, whale and dolphin-watching and to explore shipwrecks and some traditional Xhosa villages along the way. In addition the lodges/hotels offer some free activities. 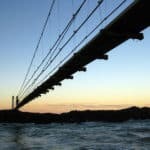 Attractions The suspension bridge linking Mazeppa Bay mainland to an island. It is a favourite fishing spot. The Jacaranda shipwreck near Trenney’s Hotel The boat pont river crossing at Kei mouth. Sardine run Every year, between May and July, many millions of sardines travel north from the cold southern oceans of South Africa as they make their way up along the coastlines of the Eastern Cape and KwaZulu-Natal in what is commonly known as the annual Sardine Run. The sardines come close enough to be seen from shore or even washed up on the beach. 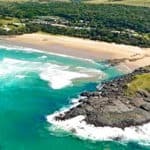 It occurs nowhere else on earth and can be witnessed from the beaches of the Wild Coast. 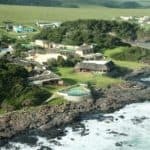 Culture and history The Wild Coast (formerly Transkei) is an area of historical and cultural significance. 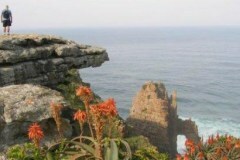 It is the traditional home of Xhosa-speaking people and was an independent homeland until 1994. It is a very distinct part of South Africa, full of tradition and local colour. Nelson Mandela is its most famous son. The walks are slow, spending time to enjoy the beaches and to take a closer look at the unspoilt coast and rivers. You can stop and enjoy what is of interest to you or your group. The walk is conducted by an experienced and knowledgeable guide because certain sections of the trails are not marked. The guide will assist you with timing of walks to coincide with the tides and show you the best place to cross. The guide will also point out the marine- and wildlife, birds and ecology of the area. 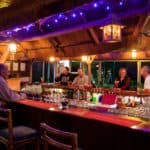 The walk starts north of the Kei River at Kob Inn. 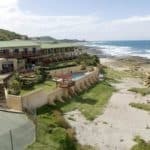 You will spend the first 4 days in, what was formerly known as, the Transkei. 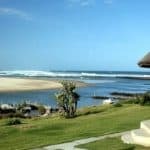 After crossing the Kei river the trails extends southwards along the Eastern Cape coast to the small town, Chitsa, north of East London. 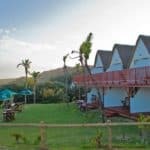 You will arrive in East London and transferred to Kob Inn where you will spend the first night. You will have a short walk to the Qora river mouth where a rowboat will take you across. From there it is about an hour’s walk to Mazeppa. It is a scenic walk between towering sand dunes and along fisherman paths. The first day is an easy introduction to the trail. Your next destination is Sandy Point. It is a long beach walk, but easy, with lots to see at low tide. Enjoy the many swimming beaches along the way. The walk to Trennerys or Seagulls Hotel is timed to arrive at Kobanqaba River at low tide. This makes wading across easier. 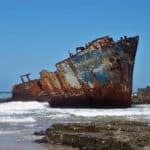 Soon thereafter you will pass the wreck of the Jacaranda. This is an interesting lunch stop and from here it is a short walk to the hotel. 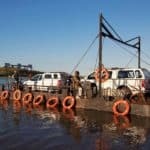 You will start the day with a short hike to the Kei River to cross the river on the “Pont”- a pontoon river ferry service. 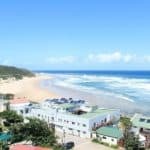 Walk through the town to the golf course where you will pick up “Strandloper” footprints leading you through the coastal reserve and past the lighthouse to Morgan Bay. This is the most spectacular part of the hike. 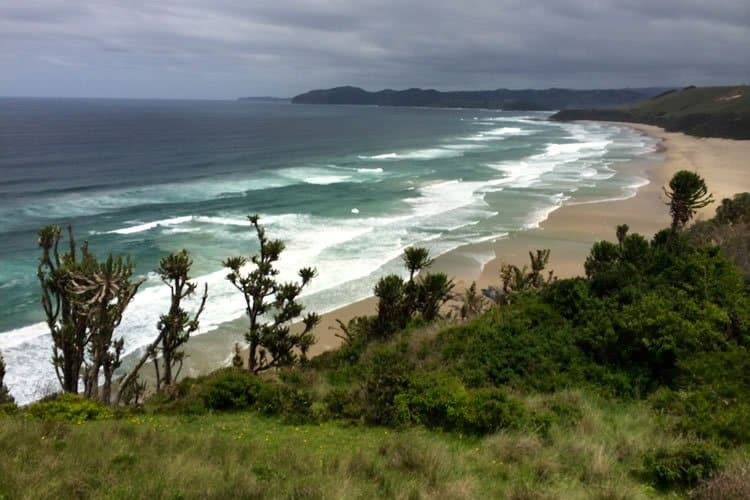 The trail follows the edge of the Morgan Bay cliffs, rising 50 m above the sea to Double Mouth reserve and the next river crossing (at low tide). From there it is a varied and interesting hike along rocky headlands, beaches and coves to Haga Haga. Today starts with a hike to the highest point at Pullens Bay from where you have a good chance to spot dolphins and whales. The hike continues along a rocky beach and gullies until you reach Cape Henderson with wide sandy beaches and wild dune forests. 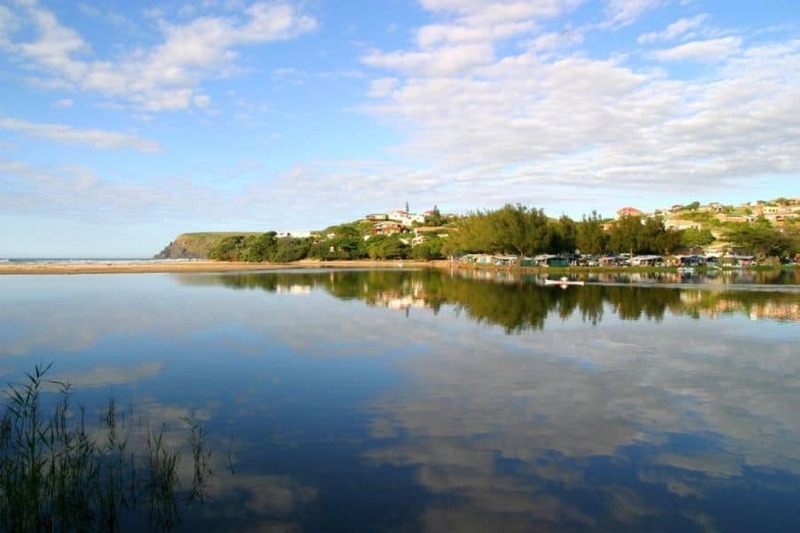 You will pass several river estuaries on the way to the lodge in the centre of Chintsa Bay. The walk can be done by anyone who is reasonably fit and enjoys rambling. There are no serious challenges other than the river crossings. When river levels are high after heavy rains, a ferry will be arranged. A back-up vehicle is also available. Overall rating: “Easy”. You do not need to be ultra-fit but if you choose to do the walks you should be able to walk between 10 and 20 km per day. The route takes you along the coast and on paths. Bookings can be made throughout the year. 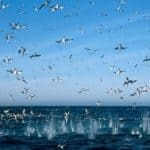 The best time is from May to September which also falls over the sardine run. The weather on the Wild Coast is very variable but during winter it is usually better from a rain perspective but cold fronts are possible. Be prepared for hot as well as cool and wet conditions throughout the year. The area has a comparatively high average rainfall, with the coastal and mountain regions receiving over 1000mm per annum. Snow is not uncommon at high altitudes in winter, but the remainder of the country is temperate with high sub-tropical temperatures along the coast in summer. The summer rainy seasons are sub tropically warm and pleasant, while the winters are mild and fine (and pleasant). High temperatures in January (mid summer) reach about 28 degrees C, and in June (winter) about 21 degrees, with lows of 17 and 9 degrees respectively. Fly to East London Airport.